The proper response: “Make it so.” Obviously. 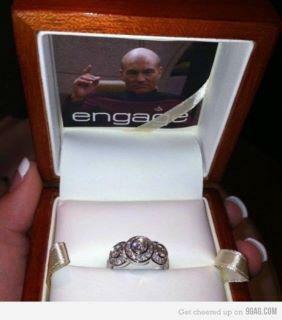 I hope Boyfriend does something like this if/when he proposes. And he will, assuming he knows me at all.